Can you believe it’s already December? The year is almost over! 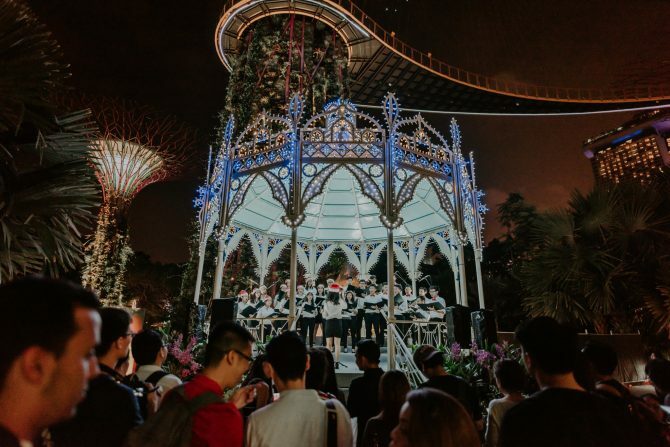 Whether you want anxious or eager to welcome 2019, you can end 2018 on a high note with the Celebrate in the City Singapore activities. Urban Redevelopment Authority is joining forces with a bunch of event organisers to bring you eight exciting year-end holiday events around Marina Bay. Now until 31 December, you and your loved ones can usher in the new year with thrills at the returning Prudential Marina Bay Carnival, festive sing-alongs, and more! Singapore’s biggest yuletide fair is back in spectacular fashion now until 26 December! Gardens by the Bay transforms into a Christmas Wonderland, brilliantly lit by stunning luminarie gold-lit sculptures made exclusively by Italian craftsmen. Get some yummy treats and Christmas gifts at the European-style Festive Market, sing along to the caroling and live music, and go skating at the huge outdoor rink! Don’t miss the Supertree Grove shows, where the “snowfall” makes for a perfect holiday photo with your family and friends.